2.In order to provide optimal and stable resources for the surveillance system, Surveillance Center’s local display function will be disabled after the camera channel expansion function has been enabled. 3. 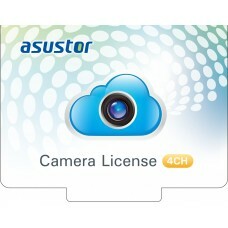 Each license key may only be used with one ASUSTOR device at a time. 4. You may not distribute copies of the license key to third parties. 5. Please keep the license key in a safe place. In case of loss or damage, ASUSTOR will not provide a replacement.